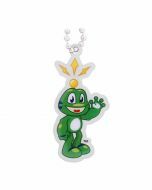 Travel Tag: Germany- Where in the World is Signal the Frog®? Signal’s first stop: Germany. On Thursday, April 13, players will gather to celebrate the 11th annual Dönerstag. You can earn the first-ever Dönerstag souvenir by attending a geocaching event on that day. 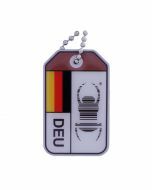 For more information about earning this souvenir and the history of Dönerstag events, you can click here. 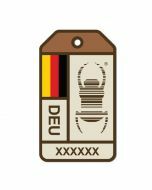 These travel tags are trackable at Geocaching.com with a unique icon. Made of aluminum with an epoxy finish. A chain is included for hitchhiking. Dimensions: Approximately 3 inches x 1.625 at widest points. 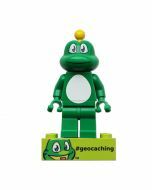 You're reviewing:Travel Tag: Germany- Where in the World is Signal the Frog®?